This remarkable lady is working hard to make the place we live just that little bit nicer. Image Kindly supplied by Janet Davies. Just a quick note here that I would like to express my huge admiration and appreciation to his lady, whose name is Yoke Van Der Meer – this wonderful woman leads the Gardening Club at the Community Centre in Brownhills and is responsible, with club members and volunteers, for the beautiful displays of flowers both at the centre and in Brownhills High Street. Since the loss of the Town Centre Partnership, the Brownhills flower displays have been taken on by the Community Association and have been as ever, gorgeous. Too often I hear people grumbling about our town, but people like Yoke and and her crew of volunteers are working hard to make this place just that little bit better for us all. I thank you all. You don’t get enough thanks. My hat is doffed in your honour. There’s loads of information here about what Yoke has been doing at the Centre. Our top horticulturalist Yoke Van Der Meer (ex-Kew Gardens!) busy on the High Street planting perennials in a partnership project with Walsall Council. Join her at gardening club on Mondays 1-3pm at Brownhills Community Centre. 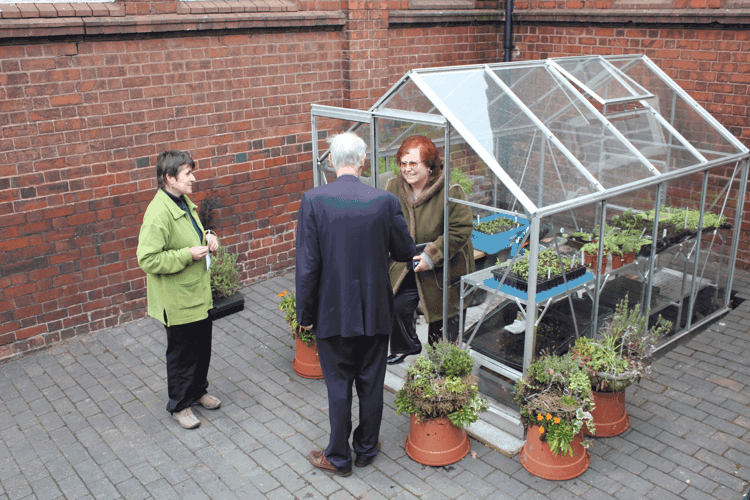 You can find out more about this lovely project right in the heart of Brownhills at their web page here. 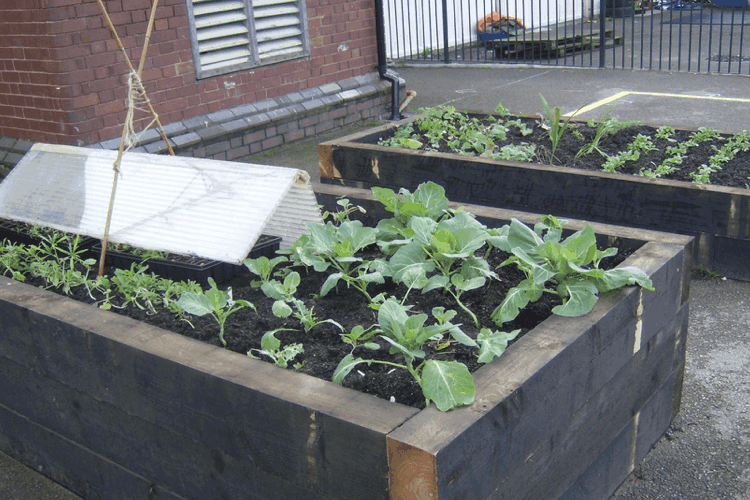 Brownhills Community Association has created this gardening project at the Community Centre to involve children and adults of all ages and abilities to come and join in the project. Plants are grown from seeds in the greenhouse, potted on and then transplanted into raised beds, hanging baskets and containers. Vegetables and fruits are also grown from young tender plants to ready to eat when ripened and full of flavour. During the winter months, when it is too cold for gardening the project turns to flower arranging using some of the dried flowers and stems etc from the summer months. We would like people to join us and help create some beautiful displays for all year round, flower beds, hanging baskets, dried flower arrangements etc. To help make the Community Centre an attractive place for people who use our facilities.